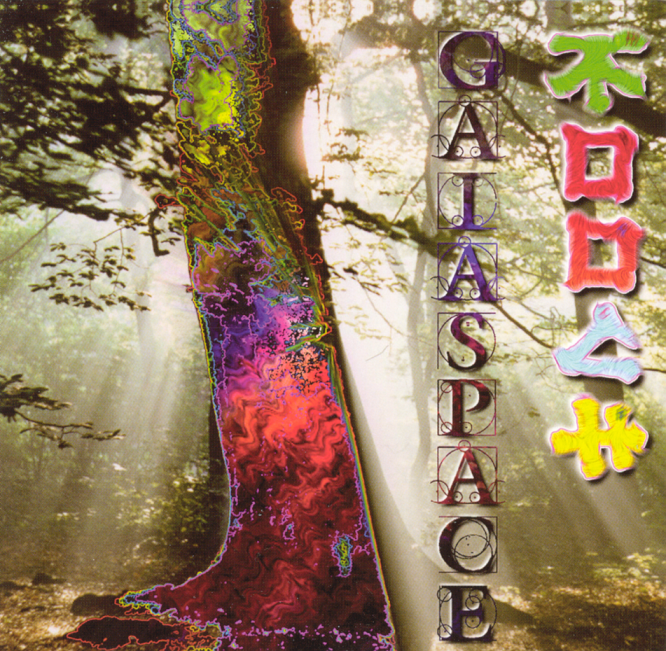 Dripping with glissando and staggering from frequent hamsterish workouts on the pitch wheel, Gaiaspace (not Gaia's pace?) is indeed Space Music, all the way from the strained noun-combo of the title to the form-free Hillage-like stretches of guitar noodling. There are no modest proportions at work, no sense of constraint or contrast: just flat out jams that more often than not manage to dead end, despite the vastness of space itself. Twirly, liquid, running fast then faster analog sounding synth riffing dukes it out with the sustain and feedback of some lovely sounding and slightly twee guitar, as all the while the omnipresent beats try to maintain order. As required by the genre, the compositions are long and favor lengthy and usually solo extrapolations over ensemble style playing. These pieces are mostly smoothly textured beds, driven by churning beats or overt sequencing which is then slathered with the aforementioned and interminable solos, a pitched mayonnaise of reassuringly major scales. Such structures — or sandwiches — really don't exhibit much in the way of dimensionality, either in the music or the audio soundstage. And when visiting Gaiaspace, reverb often becomes so dominant that you can almost blindly count the many windings of the old analog springs. If nothing else, Gaiaspace now makes obvious, at least in certain parts of the universe, that time has come to a complete and mostly self-reassuring stop.